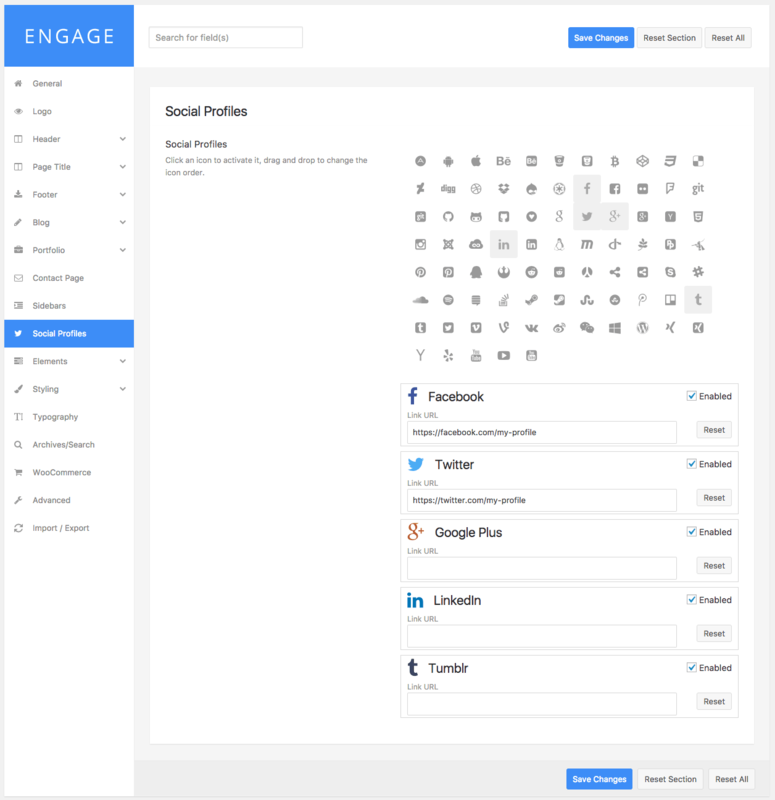 Engage allows you to easily add all popular social website profiles to your website. Use Theme Options to add icons to your Footer or Top Bar area and use a dedicated Visual Composer component to add social icons anywhere on your website. Order your icons as you please and easily change their style and colors.